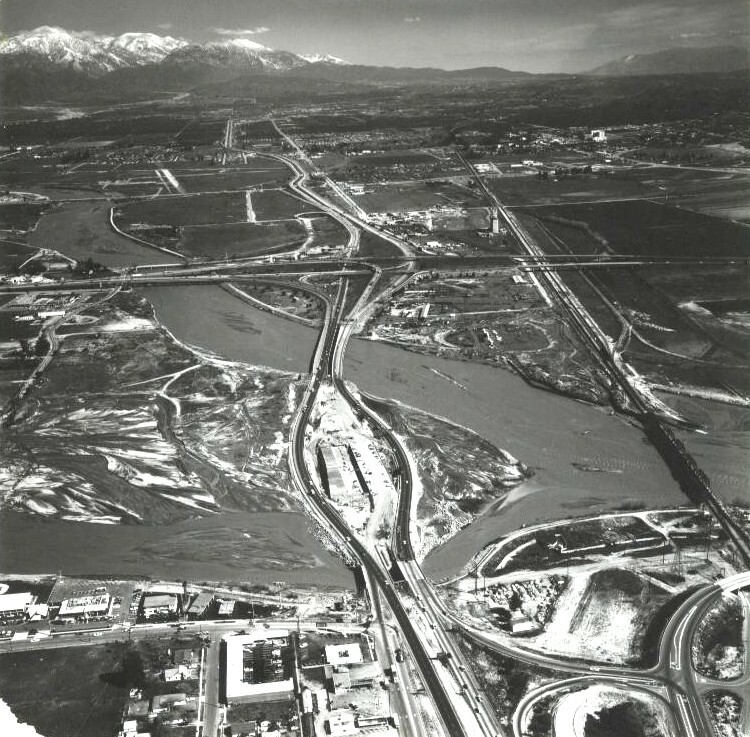 On April 20, 2014, the San Bernardino County Flood Control District celebrates its 75th anniversary and the strides it has made to help reduce flooding risks and damages in San Bernardino County. With the Flood Control District’s 75th anniversary approaching, the District operates and maintains 151 miles of levees, 226 miles of channels, 40 miles of storm drains and 119 basins. Flood history in the Santa Ana River Basin is traceable since the entry of the Spanish Mission Fathers into the Los Angeles and San Bernardino areas between 1769 and 1776. 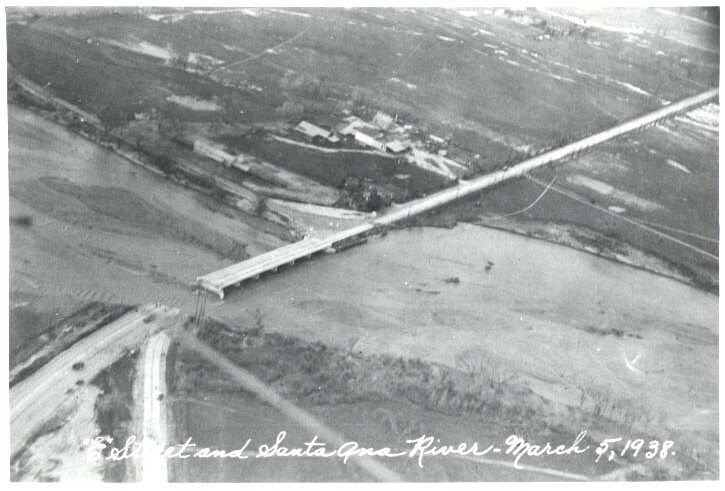 In more modern times, one of the most devastating storms in the County occurred on March 2nd and 3rd, 1938, and flood waters caused 14 known deaths and damages estimated at $12 million (that’s more than $194 million in today’s dollars). Practically no part of the San Bernardino Valley or Mojave River Valley escaped the wrath of this storm with almost every community isolated and hundreds homeless. The district was formed the following year in 1939 as an urgency and progressive measure for the preservation and promotion of public peace, health, and safety as a direct aftermath of the disastrous floods of March 1938. Eclipsing, in many respects, the flood of 1938, were the “great” floods of January and February 1969, occurring a month apart. Rainfall intensities and amounts were greater and, except for the Mojave River and its tributaries, runoff peaks were higher during these two floods. Although Flood Control facilities functioned splendidly during the January flood period, there was insufficient time to perform necessary repairs and maintenance before the late February storm struck, which caused nearly twice as much damage. Monetary losses in San Bernardino County alone amounted to more than $23 million from the January storm and over $31 million from the February storm. This is, however, only a portion of the losses which would have been sustained had no flood protection been provided at all. The severe flooding throughout Southern California inflicted costly damages exceeding $213 million in tangible property losses and exacted 115 human lives. San Bernardino and six neighboring counties were declared national disaster areas. Many flood events have plagued the county since those early times but the damage has not been as devastating since the formation of the district. The district’s programs have placed a special emphasis on the control of the county’s principal streams and channels. 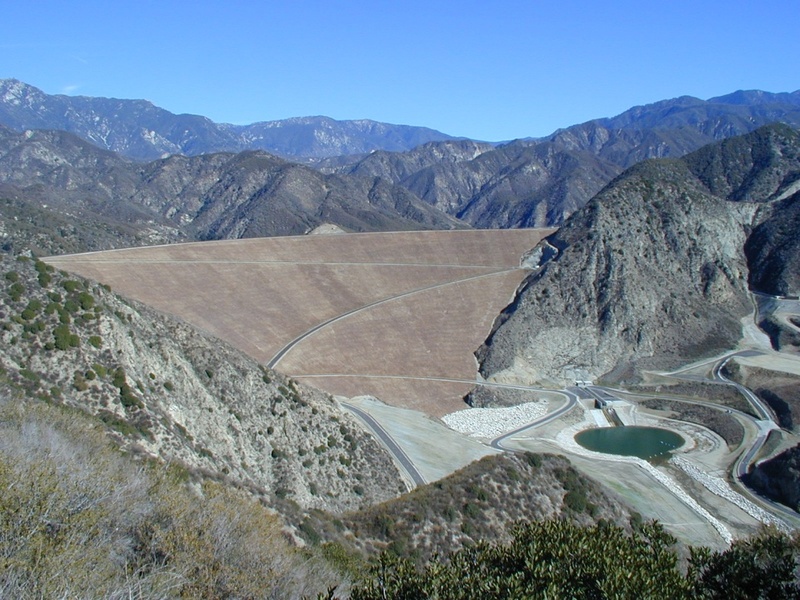 One shining example of that is the Seven Oaks Dam, completed in November 1999 as a collaborative effort between Orange, Riverside and San Bernardino Counties and the U.S. Army Corps of Engineers. The Seven Oaks Dam collects storm water from a 177-square-mile area at inflow rates of as much as 58,000 cubic feet per second and then meters the water out at a rate of 5,500 cubic feet per second. This dam provides significant protection to communities along the Santa Ana River from the base of the San Bernardino Mountains to the Pacific Ocean. Along with reducing flooding risks and damages, many of these sites provide wetlands mitigation, habitat for wildlife, and green space for all to enjoy. By acquiring land for conservation, flood storage and other multi-use projects, the district is ensuring an effective blueprint for flood damage reduction, now and in the future. For further information please contact the San Bernardino County Flood Control District at (909) 387-7995.